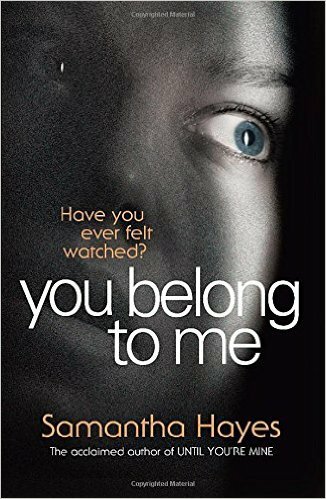 The compelling new psychological suspense novel featuring DI Lorraine Fisher, from the author of Until You’re Mine and Before You Die. Perfect for fans of S J Watson and Sophie Hannah. Fleeing the terrors of her former life, Isabel has left England, and at last is beginning to feel safe. Then a letter shatters her world, and she returns home determined not to let fear rule her life any more. But she's unable to shake off the feeling that someone who knows her better than she knows herself may be following her. Ready to step back into her life and take control all over again. This was a really good psychological thriller. It was really creepy at times and I found that I was becoming suspicious of everyone, even the police. I could feel the tension building with every page turn and when Felix was introduced my suspicious mind went into overdrive! This was the first Samantha Hayes book I have read but it is the third containing the character DCI Lorraine Fisher. I didn't feel like I needed to have read the two earlier books as I immediately liked Lorraine. We are introduced to her as she is being treated for stress, which shows her as a normal person rather than a superwoman police officer. I think she is a great character, a strong woman who lives and breathes each case she is given, to the point that she continues to work a case when she is supposed to be off work relaxing! It's quite difficult to review this one without giving away any spoilers. There are some nice twists in the book, some I did see coming and others I didn't, but even though I guessed some things I still enjoyed the book immensely. The writing was excellent as I really couldn't put the book down, I didn't know what was real or who was crazy, and my interest was held from start to finish. So much so that I'll definitely be looking to read more books by Samantha Hayes.